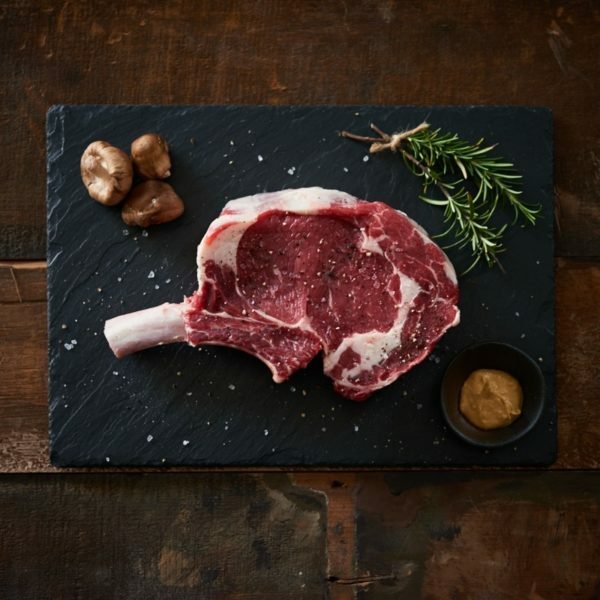 Rib Roast Steak or Côte de Boeuf is a beautifully thick rib steak cut on the bone, also known as rib-eye or cowboy steak. 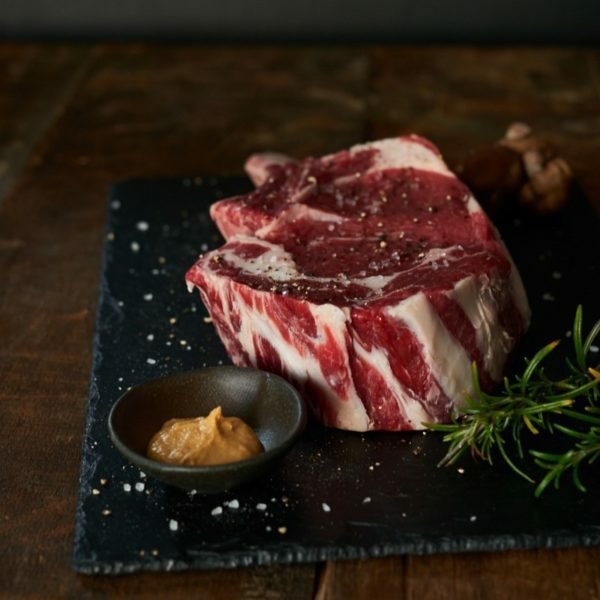 Ideal for sharing between two and being on the bone with good fat marbling it delivers fantastic flavour and tenderness. Keep it simple: just fry in a hot pan for around three minutes each side and enjoy it medium rare. Remove all packaging and allow to sit for 15 minutes to bring up to room temperature. Fry, Grill or BBQ to suit your taste. I bought this along with some tom-a-hawk steaks, if I thought the tomahawk would be the belly buster, I was wrong! 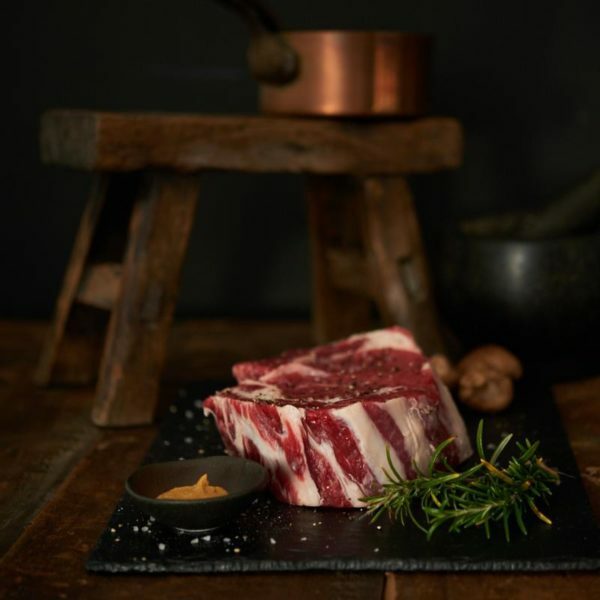 The meat on these Cote de Boeuf is sublime, the colour and fat content perfect! I found mine took about 30-35 minutes to come to medium rare being as they are so thick! There is more than enough meat on these steaks to make 2 meals, 3 if you haven’t got the appetite of a dinosaur! A splendid cut, and one which I will be buying again from Scott Brothers! Thank you!